Almost 1 billion years from this moment, the sun will enter in its dying phase and blow off its outer atmosphere, eating our minute planet in hot plasma. Fortunately, our galaxy will be left with NASA's twin Voyager spacecraft to remember us as a sign of existence of humans. 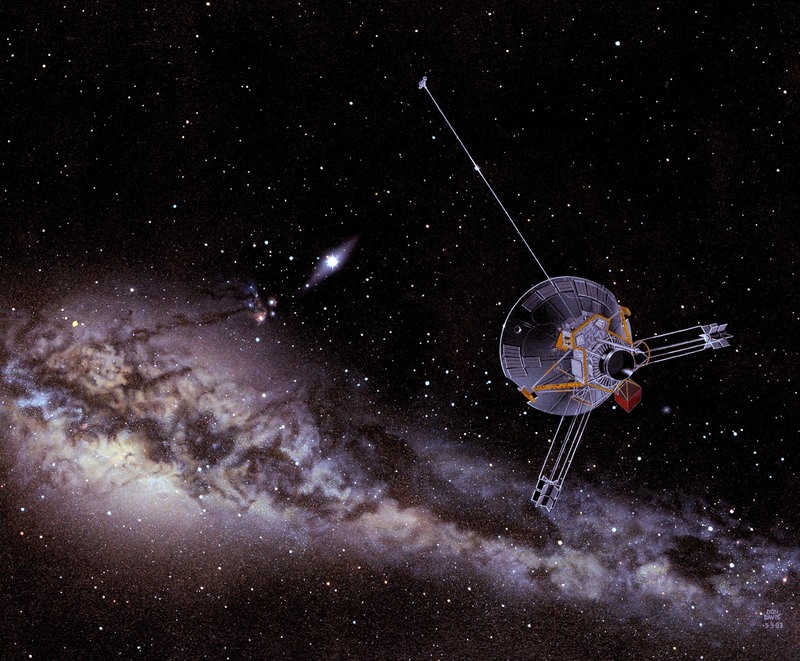 The two nuclear-powered spacecraft started their mission 40 years ago and became the first and only machines to take close-up photos of Uranus and Neptune, the planets' moons and rings, and some other objects in the outer solar system. The Voyagers are also carrying a golden record of sounds, images, and other info about existence of life on Earth — a simple human collection that aliens might one day discover and decode. The mission is now comprehensive in an extraordinary PBS documentary called "The Farthest", which premiered on August 23 and re-aired on September 13 at 10 p.m. ET. Brad Smith, a Voyager imaging scientist, said in the movie "Fifty years from now, Voyager will be the science project of the 20th century,"
Here's why many scientists and engineers not only hail Voyager as the farthest, fastest, and longest-lived space mission, but also one of humanity's greatest endeavors.